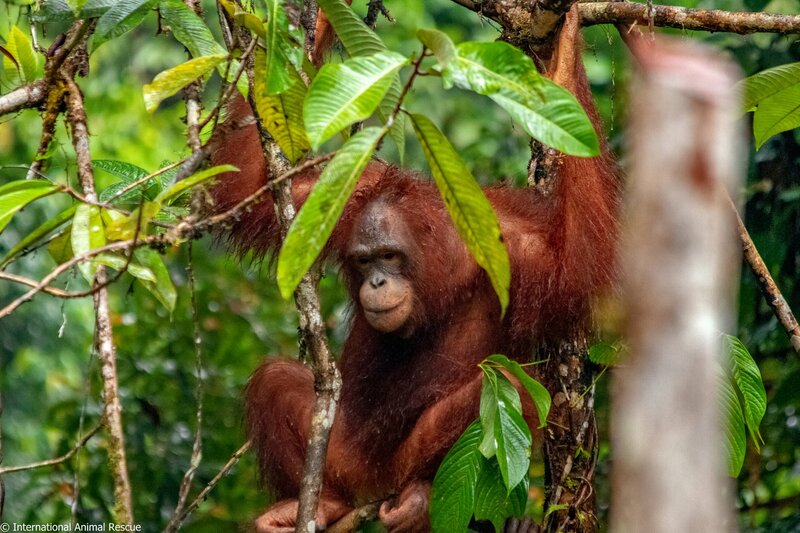 March 22, 2019 — We have some amazing news from our friends at IAR Ketapang! 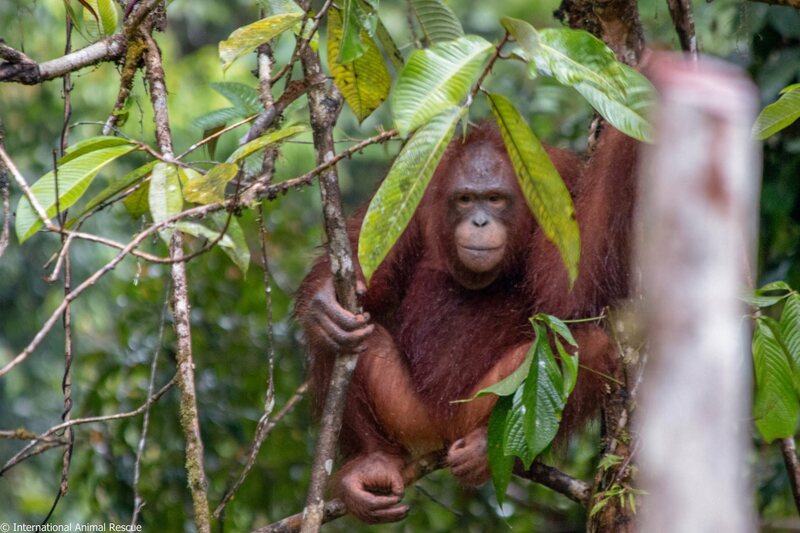 Last month, during the release of six orangutans into a national park, the post release monitoring team spotted two very familiar faces in the trees above. Swinging high and free were Shila and Pungky! Shila was released by IAR back in 2017 after an extensive period of rehabilitation at the sanctuary and Pungky was released soon after. 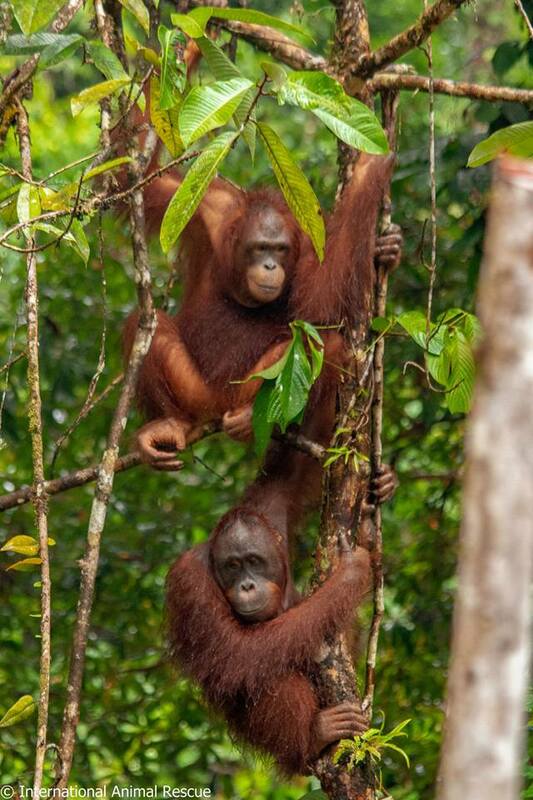 We are absolutely thrilled to see them thriving in the forest and are delighted to report that both orangutans look healthy and active. The team observed them from a distance as they built their nest, swung from tree to tree and lazed about the tree branches stuffing their faces with the abundance of fruit on offer in the forest. 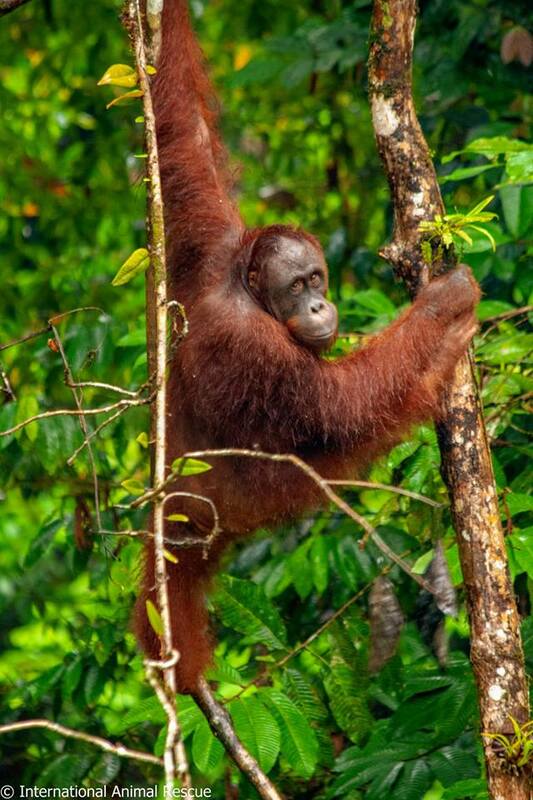 Karmele Sanchez, Director of IAR Indonesia, said "One of the best things in the world is to meet rehabilitated orangutans in the wild, years after being released, not only surviving but thriving free in the forest! We were lucky enough to meet Shila and Pungky who have become a loving couple and are learning from each other. This amazing sighting shows the incredible power of your donations and adoptions. Together we are achieving something truly remarkable. 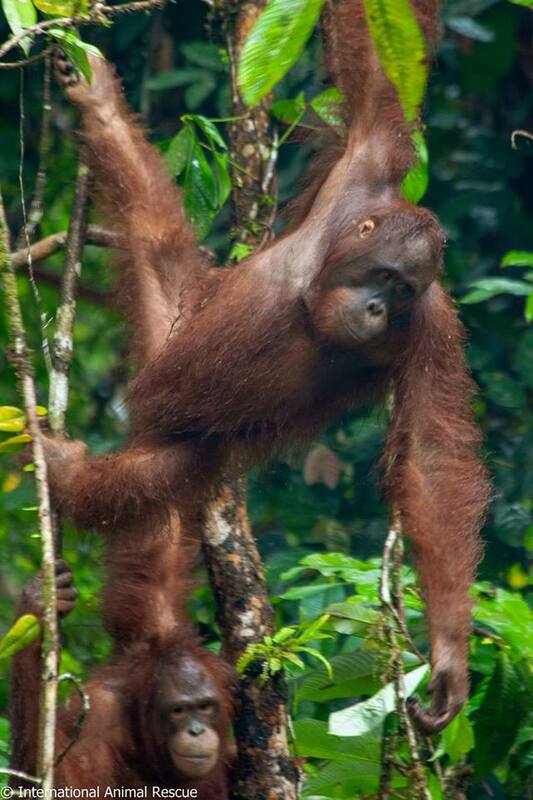 THANK YOU to everyone that supports our orangutan rescue project. 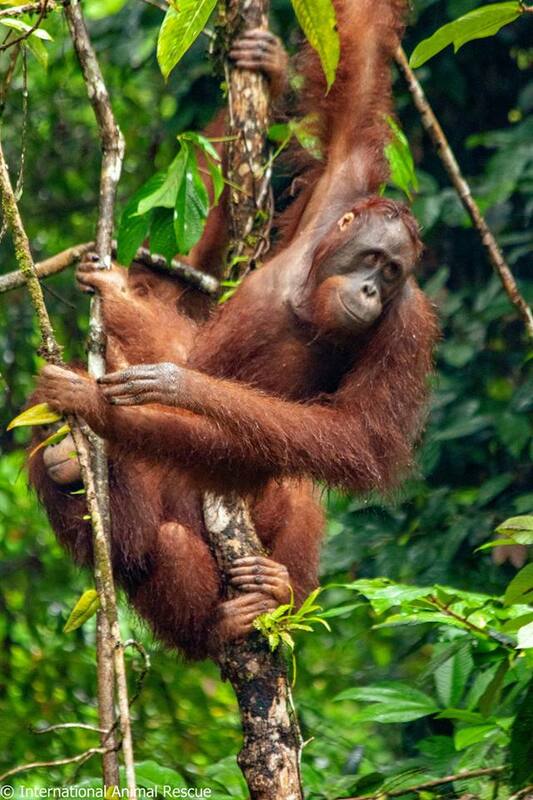 You are the reason these beautiful orangutans are alive and well today!